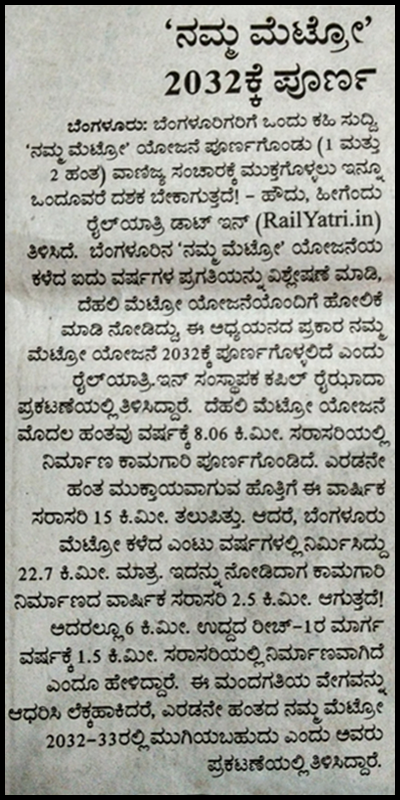 RailYatri recently did a study comparing the performance of Namma Metro with Delhi Metro. 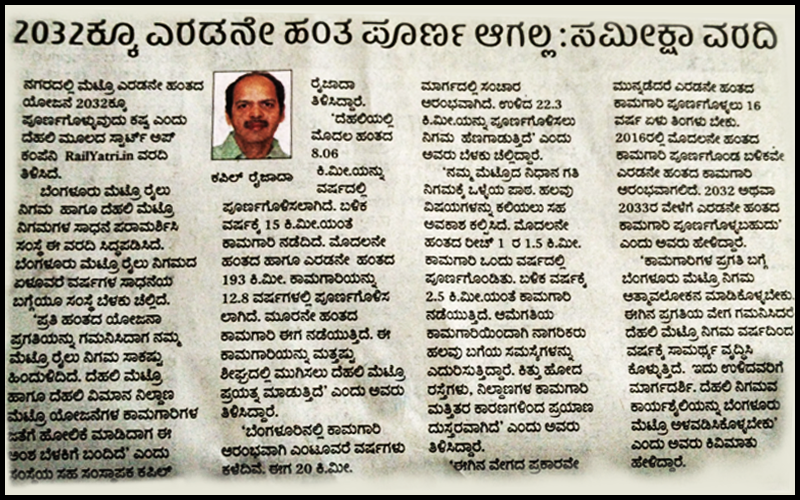 According to the report, it will take beyond the year 2032 for Bengaluru’s Namma Metro project to be completed. 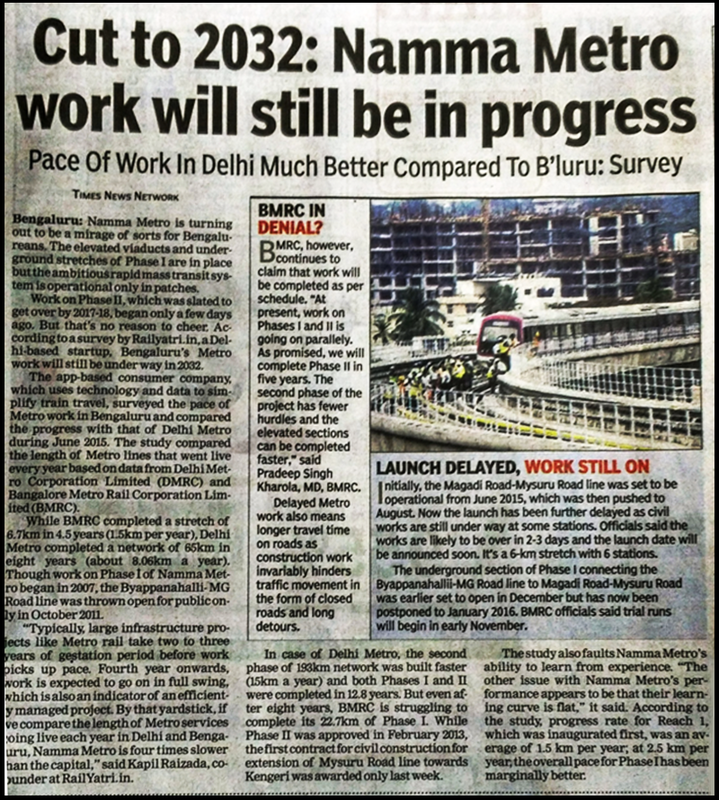 The report is based on the analysis of the progress in the last 7 years, and also compares the performance of Namma Metro with its counterpart – Delhi Metro – see below. Considering phase-wise completed track length, Bengaluru’s Namma Metro is lagging well behind its Delhi counterparts – both the Delhi Metro, as well as the Delhi Airport Metro project. Delhi Metro achieved 8.06 kms/year in Phase 1. The pace increased to over 15 kms/year, with the total of 193 kms of Phases 1 & 2 being completed in 12.8 years. 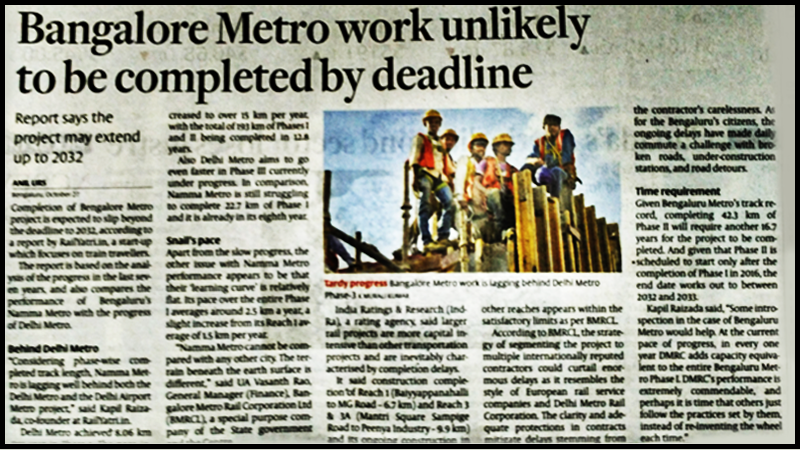 Delhi Metro aims to go even faster in Phase 3 currently under progress. 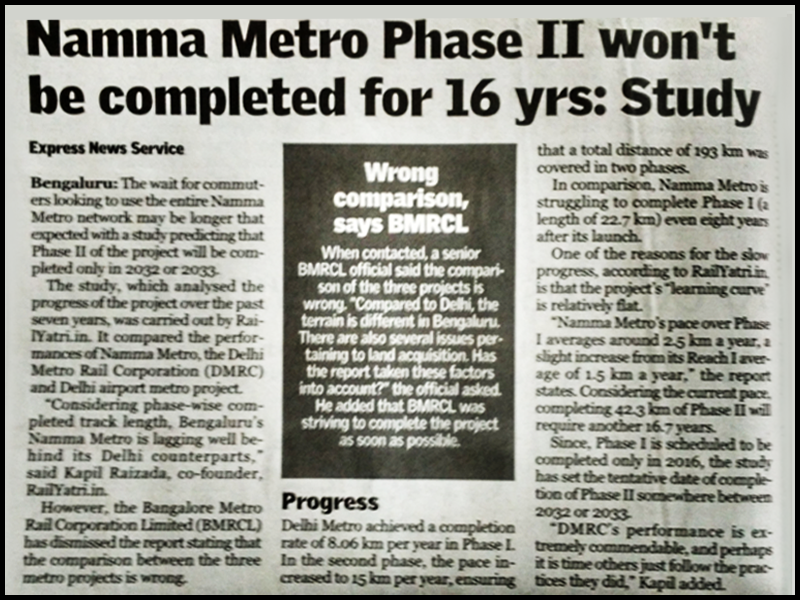 In comparison, Namma Metro is still struggling to complete its 22.7 kms of Phase 1 while already in its 8th year. Apart from the slow progress, the other issue with Namma Metro performance appears to be that their “learning curve” is relatively flat. Namma Metro’s paceover the entire Phase 1 averages around 2.5 kms per year, a slight increase from its Reach 1 average of 1.5 kms/ year. 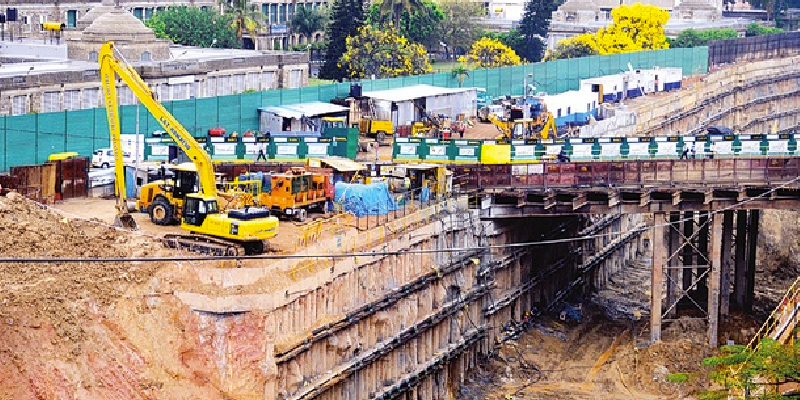 For Bengaluru’s citizens, the ongoing delays have made daily commute a challenge with broken roads, under-construction stations, and road detours. Given Namma Metro’s track record, completing 42.3 kms of Phase 2 will require another 16.7 years for the project to be completed. And given that Phase 2 is scheduled to start only after the completion of Phase 1 in 2016, the end date works out to between 2032 and 2033. Some introspection in the case of Namma Metro would help. At the current pace of progress, in every 1 year DMRC adds capacity equivalent to the entire Namma Metro Phase 1. DMRC’s performance is extremely commendable, and perhaps it is time that others just follow the practices set by them, instead of re-inventing the wheel each time.